One of the worst kept secrets among tech circles was Amazon’s plan to enter into the set top box game with its very own Android-based device. Well, the once book seller now eCommerce giant has made it all official with the recent announcement of its new device called the Fire TV. Of course, while the fact it was coming was a surprise to no one, Amazon did have some tricks up its sleeve for its big reveal. One of the first surprises for Amazon’s box is just how powerful it is. It boasts a quad core processor, 2GB of RAM, and a dedicated GPU for playing games. The games portion of the box was heavily rumored leading up to the event, and it turns out they were spot on, as the rumored controller, which retails for $40 on top of the $99 box itself, is the exact one Amazon ended up revealing at the event. It looks like a decent enough controller, but we will have to wait to get out hands on it to really get a feel for it. Amazon also promises that many games can be played using the media player remote that comes packaged in the box. Of course, Amazon’s Fire TV will include staples like its own streaming service, YouTube, Crackle, Netflix, and plenty of others. It also features to ability the broadcast the screen of supported devices, much like Airplay on an Apple TV, which will be a welcomed feature. Probably the biggest suprise from Amazon’s announcement was the release date, which was revealed to be the very same day. So that means that if you are interested, you can jump over to Amazon and order the Fire TV and its game controller right now. Is there any word on why it didn't launch with HBOGo support or when it may be added? That seems to be the only miss on it's comparison chart (on it's Amazon page) stopping it from being a no-brainer. is this only available in the USA, if so when will be available in the UK? I apologize for being so technically illiterate, but, besides playing games on the TV, what does it do? Allow you to watch TV over the internet? If so, would you be able to get the regular cable channels like History, Science, etc.? It would be nice if there was a box to check to receive emails about follow-up posts. Streaming content on the internet is seldom viewed in terms of its relation to traditional television channels. I've not had TV service in so long that I have no earthly idea what channels the programs I watch are on. The FireTV is a Set Top Box (STB) that provides access to a large number of content delivery services. Having access to a large number of services is extremely important to cable-cutters since that determines their legal means of accessing the same content that would be on cable or satellite. The FireTV has access to nearly every important streaming service (it won't talk to Apple - nothing but Apple talks to Apple, and it's missing HBO Go and Spotify), but it has very powerful hardware and a nicer interface compared to competing STBs. 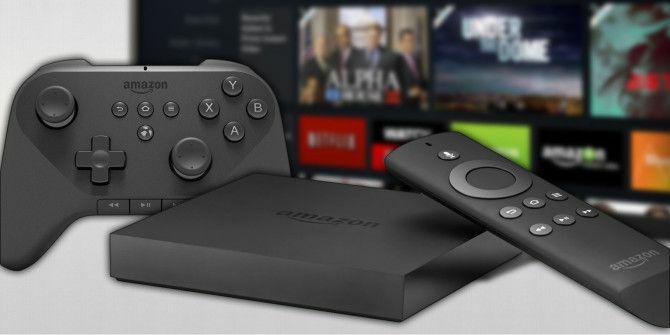 For me, the big deal is that it's running Android and can be hacked (I'm going to add the XBMC front-end to mine this morning), but users who have tried devices like the Roku 3 may appreciate the user interface improvements on the Fire TV. I do wish Amazon would swallow its pride and allow me more open access to content on Play Books and Play Music, but that's more of a complaint about my Fire HDX than my FireTV. I haven't really messed with the Fire TV's ability to access local content outside Plex. That's also on my list for this morning.